Located in the beautiful north end of Fairfield, conveniently in Connecticut between Boston and New york, Sacred Heart University is one of the best schools to host summer softball camps. The Pioneers have a recently renovated all turf field one of the only D1 all turf fields in the northeast. Check In: Overnight Campers will check-in at Seton Hall between 12:30pm – 1:00pm. Commuters will check-in at Seton Hall between 12:30pm – 1:00pm. The first meal served is dinner. Please arrive dressed and ready to play. Check Out: Parents are invited to attend final scrimmages that begin with warm-ups at 9:00am. The last meal is breakfast. Check-out for ALL CAMPERS will occur back at Seton Hall beginning at 12:00pm. London captured her second Northeast Conference title in 2011 as the SHU won 29 games en route to a second crown in three seasons. London had two Pioneers earn major Northeast Conference awards in 2011 as Taylor Froelich was tabbed the NEC Player of the Year and Nicole Sidor was selected the league’s Most Improved Player. 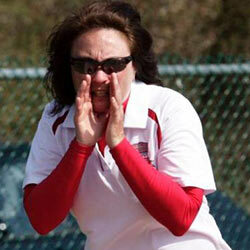 Sacred Heart University’s Softball Camp will be directed by Sacred Heart’s Head Softball Coaches Elizabeth “Bippy” Luckie and Pam London. 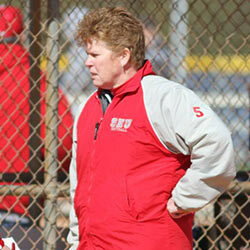 Bippy and Pam are now in their 28th year at Sacred Heart and have earned 549 wins. They have appeared in 13 NCAA Tournament Appearances as either a player or coach. Before coming to Sacred Heart in 2007, Russell played four years of softball at St. Joseph’s High School in Trumbull, Conn. where she served as team captain her senior year. She led St. Joseph’s to the FCIAC and CIAC Championship her senior season. In 2007, she was named Connecticut Player of the Year, Connecticut Post All-Area and Co-MVP. She was selected as CIAC and FCIAC playoff MVP as a senior. Russell earned first team All-FCIAC honors junior and senior years, and was named All-FCIAC Second-Team as a sophomore.